I've mainly studied both Mahayana and Theravada, among Shinto, Christianity and western philosophy in my undergraduate and master's. Now I'm researching about the syncretism of Buddhism and Shinto in Kamakura for my PhD. I can show and tell you what the real Buddhism in Japan is, and of course how it's different in other countries. I am not into a particular sect, so my knowledge is not biased! Please feel free to ask any questions during the trip! 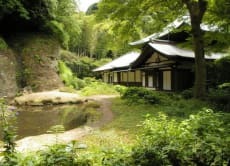 Take a Secret & Sacred Temples Trip in Kamakura!